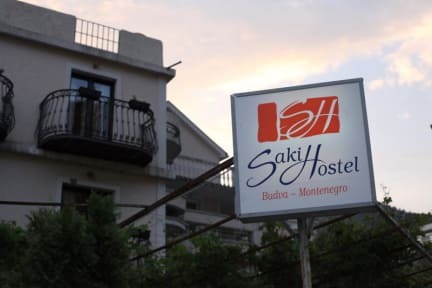 Saki Guesthouse i Budva, Montenegro: Reservér nu! Our family has decades of experience in this business. Our goal is to make guests feel as they are visiting close friends, and numerous reviews testify that we are successful in this. 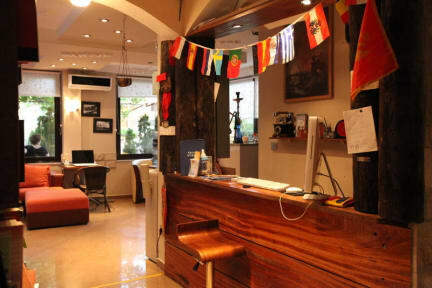 Our property is a cross of apartments and a property, with a family atmosphere. We have a lovely balcony on the roof where you can have dinner underneath the stars, spa, jacuzzi, boat for day-trips, air condition, WiFi, TVs, fridges, private bathrooms, everyday cleaning, free welcome drinks, parking, free car rides to the beach and a posibility of transport from airport.